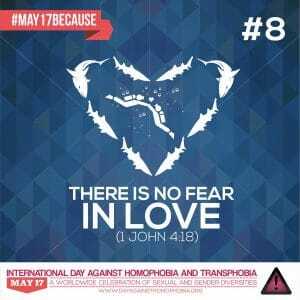 Each year on 17 May, LGBT activists and allies across the world mark International Day Against Homophobia, Biphobia and Transphobia, known as IDAHOBIT. The date of 17 May was specifically chosen to commemorate the World Health Organization’s decision in 1990 to declassify homosexuality as a mental disorder. 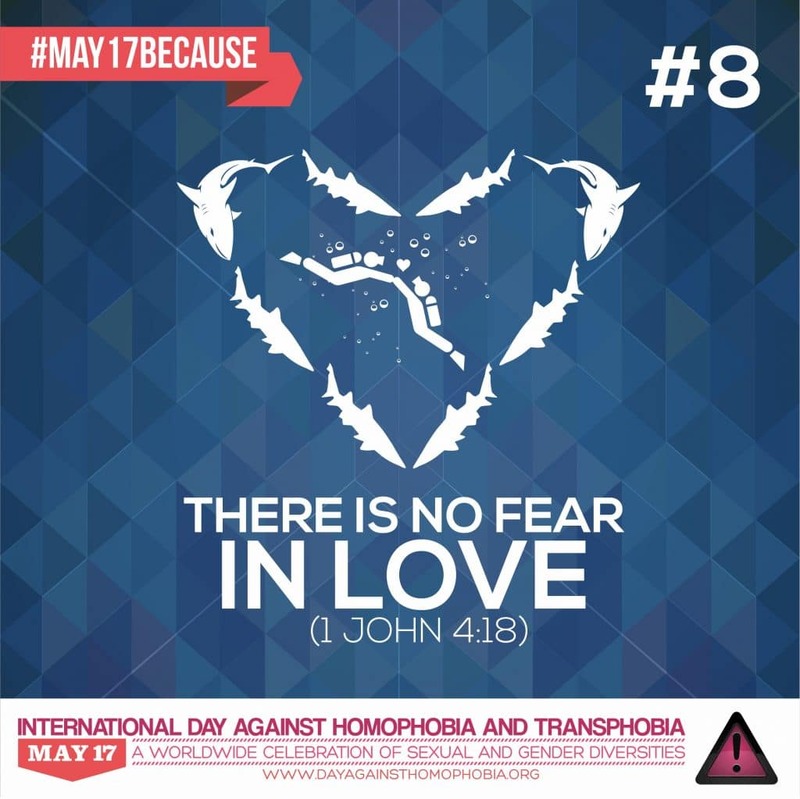 Initially entitled International Day Against Homophobia, it was created in 2004 to draw attention to the violence, discrimination and repression experienced by LGBT people. To make the day more inclusive and to reflect the distinct issues faced by trans and bisexual people, Transphobia was added to the titled in 2009, and Biphobia in 2015. At the National Assembly for Wales, we are an award winning LGBT-inclusive organisation. We know that our LGBT staff are an important part of our inclusive culture, where they have the opportunity to thrive in a safe environment. It is important to have a safe working environment because without that, organisations limit the potential of their staff and risk losing talented people. We have developed a workplace culture where people can bring their full identities to work, where any negative behaviour can be challenged and effectively dealt with. We do not tolerate any bullying, harassment or discrimination on our site. By providing training to our staff, promoting LGBT equality and inclusion, and having our network, role models and allies, we know that we can celebrate our diversity and challenge abuse. Our LGBT network has a visible allies group that help us in our mission to celebrate and challenge. Our allies stand side by side with LGBT people to ensure that everyone can live with dignity and respect. By standing up as an LGBT role model or an ally you can help to encourage everyone to lead lives that are free from fear and discrimination, not only on IDAHOBIT but every day throughout the year. Being LGBT is not a choice, but ignorance, discrimination and hatred are. We encourage you to be kind, stand up for LGBT people and celebrate all of our differences. 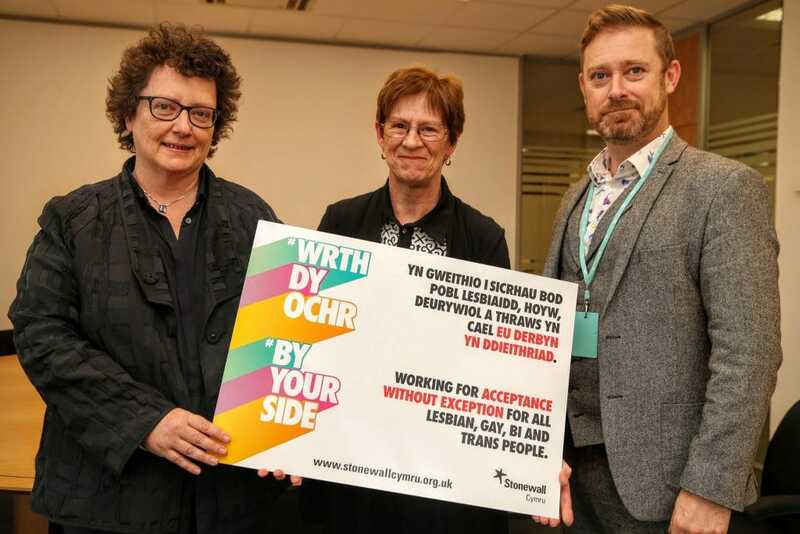 The Assembly’s Presiding Officer Elin Jones AM, Joyce Watson AM and Andrew White, Director of Stonewall Cymru . All three promote By Your Side, Stonewall’s campaign asking LGBT advocates and allies to pledge their commitment to continuing to work towards LGBT inclusion. “As an inclusive organisation, the National Assembly for Wales is committed to challenging violence and discrimination and to promoting a culture of fairness, dignity and respect. We are proud to have been listed in Stonewall’s Workplace Equality Index each year since 2009, rising to fifth place in 2017 Index. We have been named the Top Public Sector Employer in Wales for the last four years, and once again, the top employer in the UK’s Government sector in 2017.